I’ve recently taken some triple shots in Newcastle. These 3 exposures (exposure -1, 0 and +1) can be converted to HDR (High Dynamic Range) automatically by Google+ Photos. I’ve installed the Autobackup tray app that is suggested by Picasa when you install the latest version of this marvellous Photo application. I’ve got it connected to my Google+ account and let it watch my folders where I copy all photos from the camera. 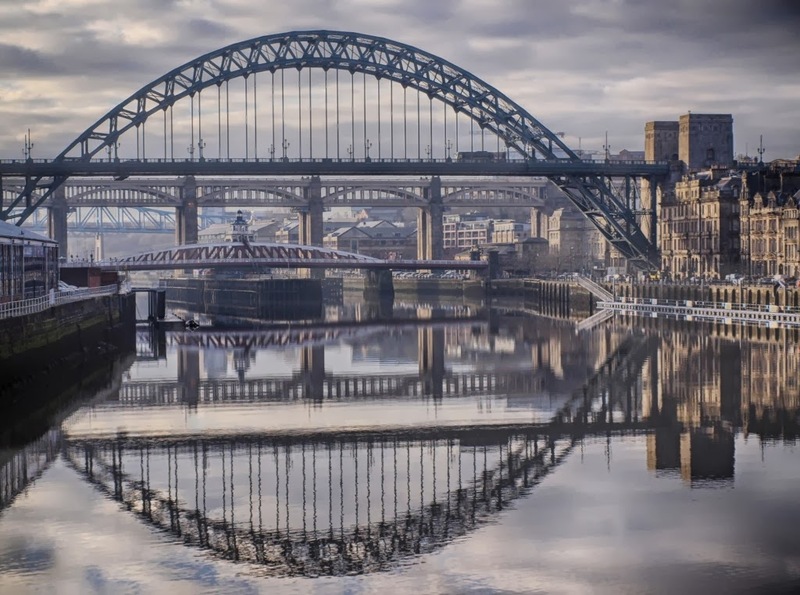 Here’s a HDR of the Newcastle bridges. I think it did a pretty good job. The download is only 1024×761 pixels. The odd dimension is probably due to the fact that I did not even use a tripod. This small size means it’s more for web use than serious print work. But it’s free and automatic. Maybe Google can improve it by giving a bit more control and download options in the future.